Tombstone embodies everything the Wild West should be. Cavernous mines, rowdy gunslingers, untamed saloons, ladies of the night, restless spirits and rough history. Yup, sounds like the perfect family vacation. 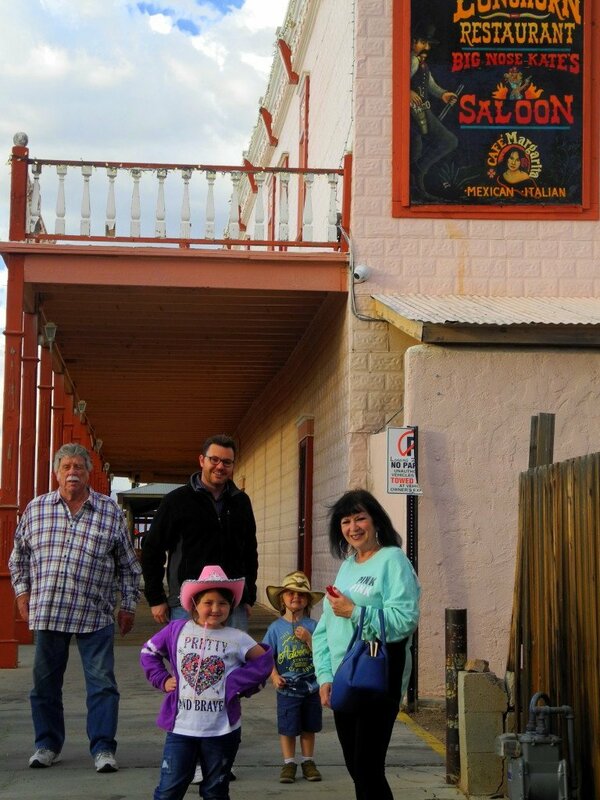 That’s why we loaded the minivan and hit the road to enjoy Tombstone AZ with kids. 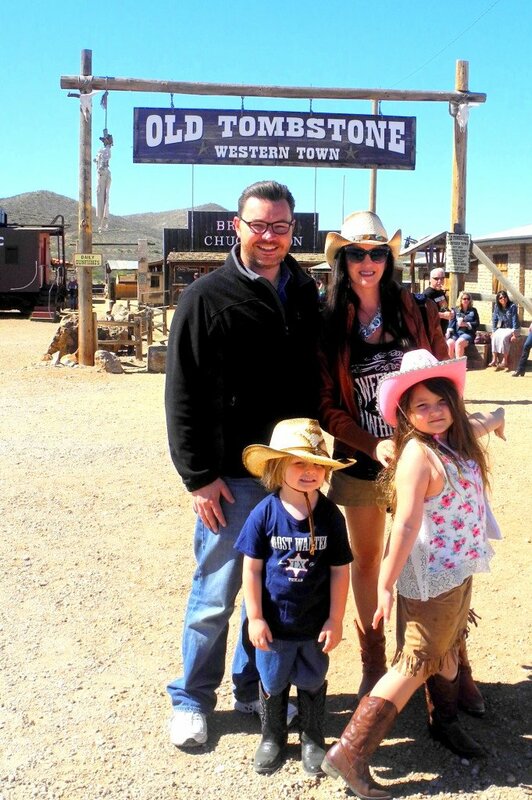 Tombstone, Arizona is known as the town too tough to die. Guess it is true in the fact that unlike many silver boom towns of the late 1800’s Tombstone has dodged the fate of becoming a ghost town. It was founded in 1879 by fearless prospector, Ed Schieffelin, who braved the elements and the Apache Indians in search for silver. Although warned several times that the only stone he’d find was his tombstone, Schieffelin kept up his quest for riches. Well, perseverance paid off and Schiefflin found his honey hole. He staked his claim and fittingly named it Tombstone. Even though it was a booming silver mining town with a population as large as 14,000 by 1889, that is not what put Tombstone on the map. 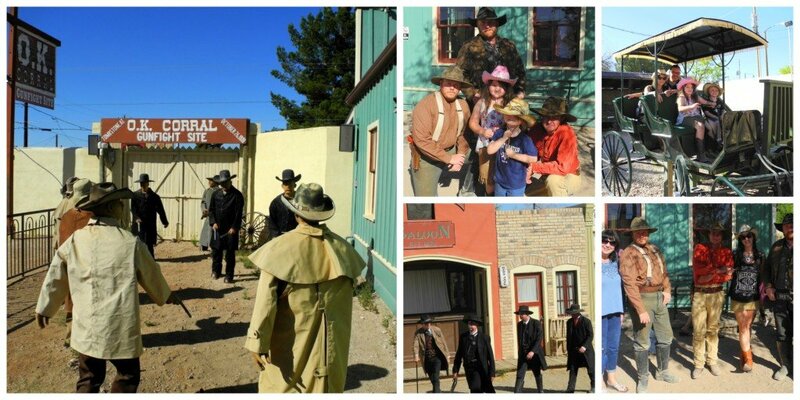 You may have heard of a little squabble that took place near the O.K Corral? Well, thanks to Hollywood, this shootout between the lawful Earp brothers and the cowboy outlaws was made famous and Tombstone a household name. It is no longer silver from the mines that keep this town thriving, but rather the deep pockets of curious visitors. 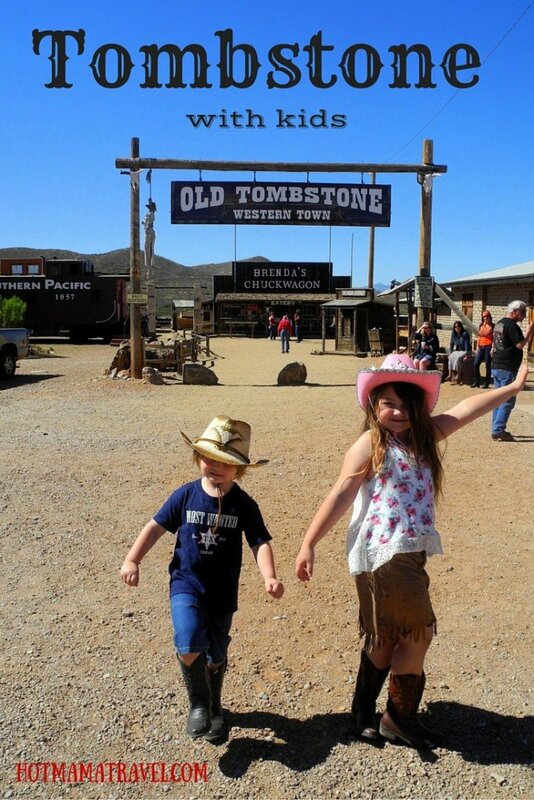 Tombstone is an actual functioning town, so there is no admission fee to enter. However, they do depend heavily on tourist dollars, so be prepared to pay if you want to do anything in town. 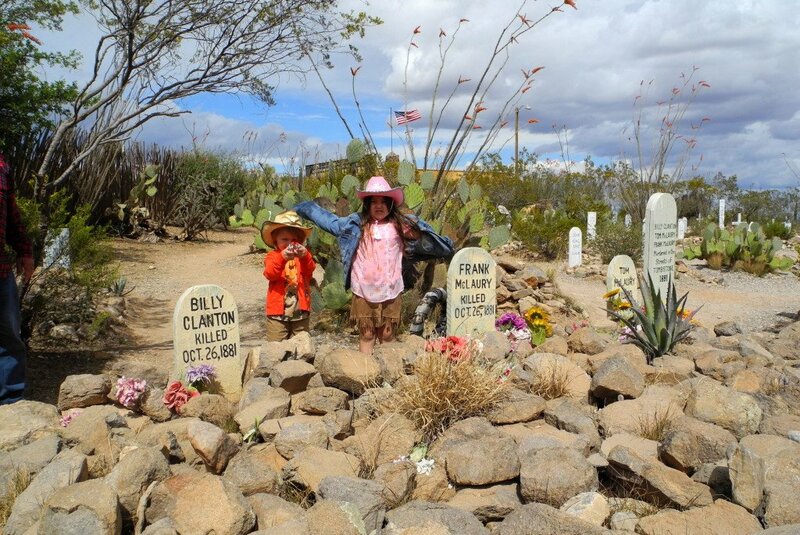 Fortunately, there are tons of affordable Tombstone attractions for adults and kids alike. Prepare early and save. 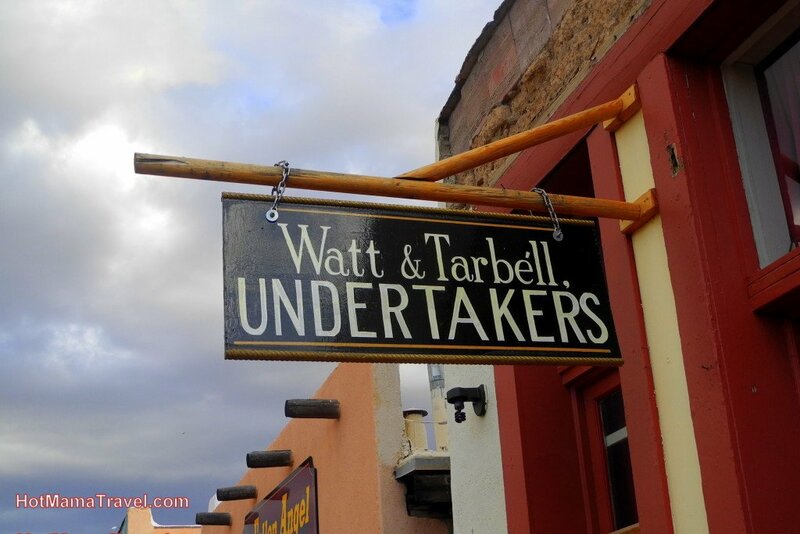 Also, you can score very reasonable accommodations in Tombstone and many with complimentary breakfasts. 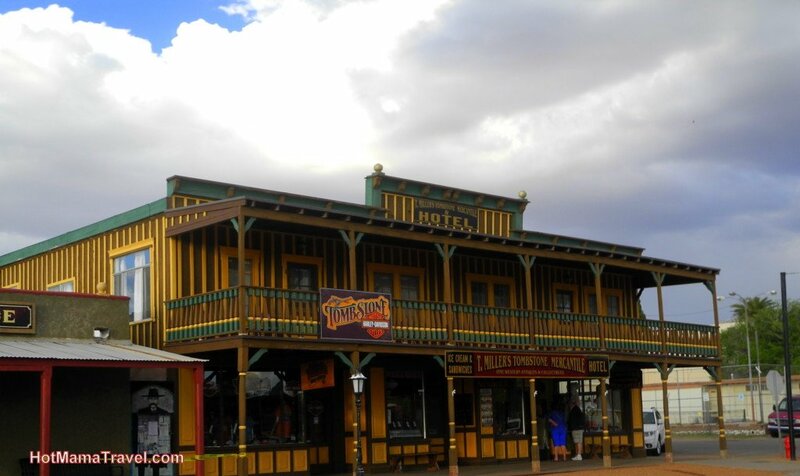 Located across the street from Boothill Graveyard, this is where we stayed while in Tombstone and we really liked it. In fact, we will probably stay here again on our next visit. We really loved our stay for a few reasons. It is clean, the amenities are great, it has reasonable rates, and unlike many of the other accommodations in the area it isn’t outdated in decor. Some highlights for our family was the complimentary breakfasts each morning and the outdoor fire pit overlooking the vast desert. 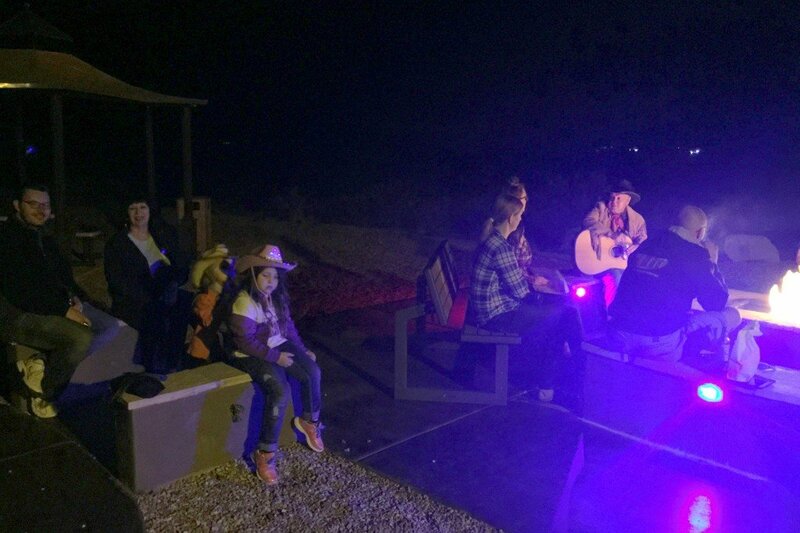 At night there is a gentleman that plays songs around the campfire, plays games and hands out prizes. My kids loved activity. 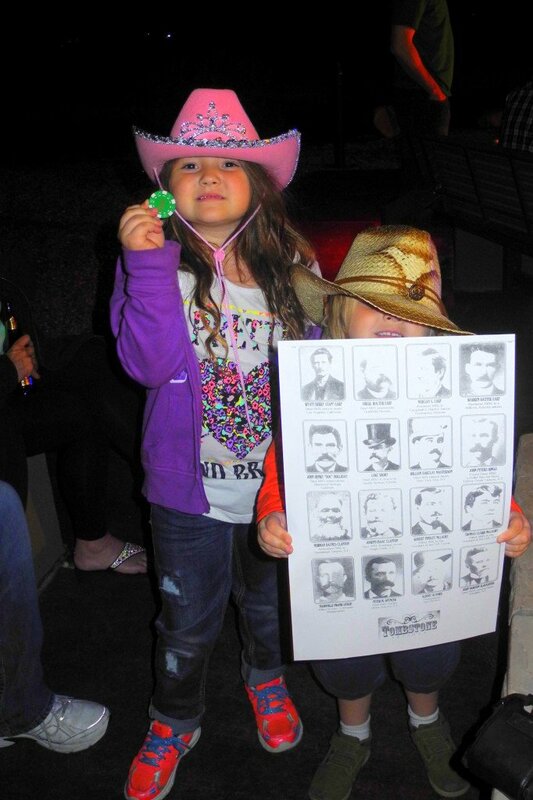 They each won a poker chip and a poster of the infamous men of Tombstone. At night in lobby they play the movie Tombstone with popcorn for guests. I loved that little touch. I also appreciated that there was complimentary tea/coffee service all day and free wifi. There was a pool, which is great if you are traveling with kids! All in all, it was a great hotel and the best choice of our family. I would definitely recommend it! This motel was once the post office in the 1880’s and now has 25 rooms to welcome visitors. Walking distance from town, this lodge offers ballroom facilities to rent for events. This lodge also offers complimentary cooked to order breakfast in their Ranch 22 restaurant. They also have a pool and fire pit with a nightly marshmallow roast. Built in 1957, the Larian Motel is a vintage accommodation. The benefit of this motel is that it is walking distance from the main Tombstone attractions. Rates range from $74-$89. Definitely the most convenient location as it sits right on Allen Street, across from the Bird Cage Theater. Most of the rooms have shared bathrooms and no televisions in the room. For a 2-queen with private bathroom it will run about $125. What’s fun about this inn is that movie stars like John Wayne and Maureen O’Hare stayed in the actual rooms while filming McClintock. Good value, good location on Fremont Street and complimentary breakfast. Walking distance from the historic sites, this inn offers free coffee in the morning a pool, hot tub and reasonable rates. 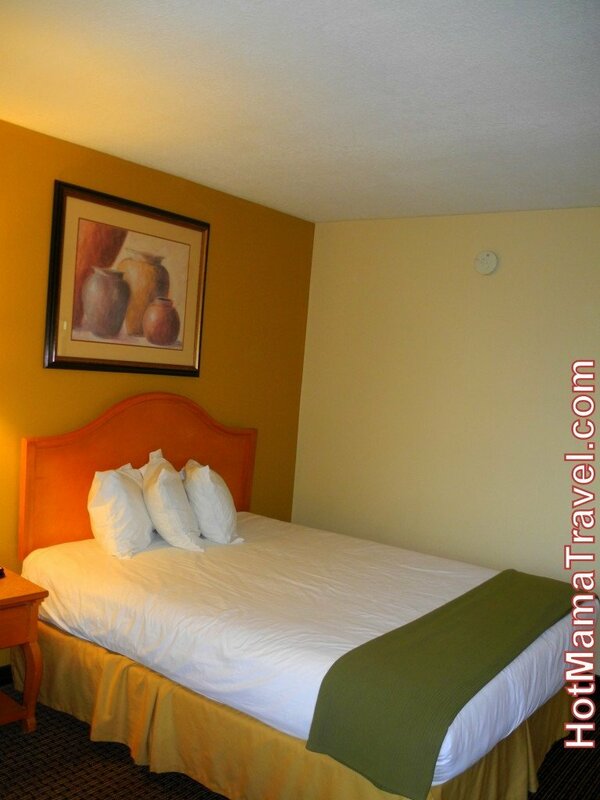 Every room has two queen beds, which is nice for family travel. This hotel is like stepping back in time with the lovely Victorian décor. With your room booking guest also receive complimentary breakfast and coffee at the adjoining coffee house. Plus, the location is convenient and walking distance from most attractions. Only four rooms to this B & B, each named after famous ladies of the night and yes, it includes complimentary breakfast. This B &B runs out of the original four-bedroom 1906 home of John Rock. Later it became the home of Marie Dietrich a lady of the night as well as a welcoming hostess to her many guests. Now her home continues to welcome new friends. This was once the house of Big Nose Kate and was built in 1881. They’ve a lot of work to restore and preserve the original feeling of this bordello, which makes for a unique experience. This was the original home of Virgil Earp. Although the original building was burnt by vandals, the owners did much to restore and have turned the property into a B & B. 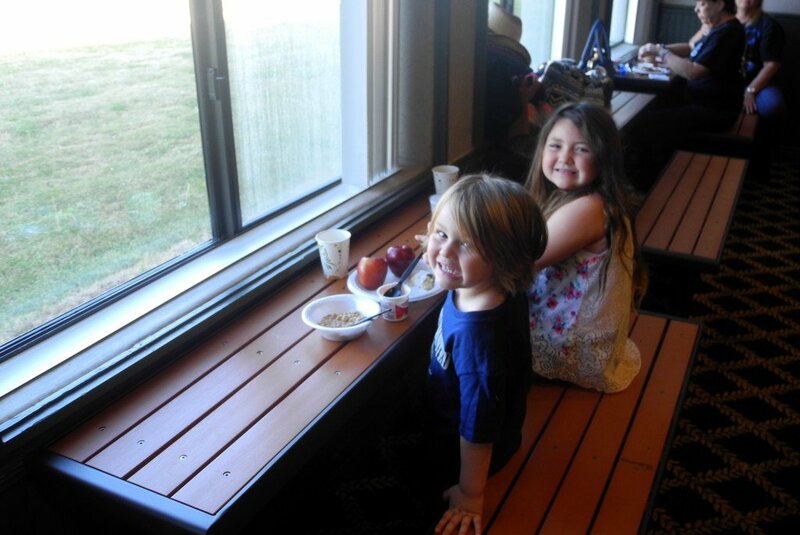 For a fun family experience, these cabins are good choice. Each cabin sleeps four, is air-conditioned, and has a television, kitchenette and cute front porch. Rates are $99-$109. This is a destination in itself. 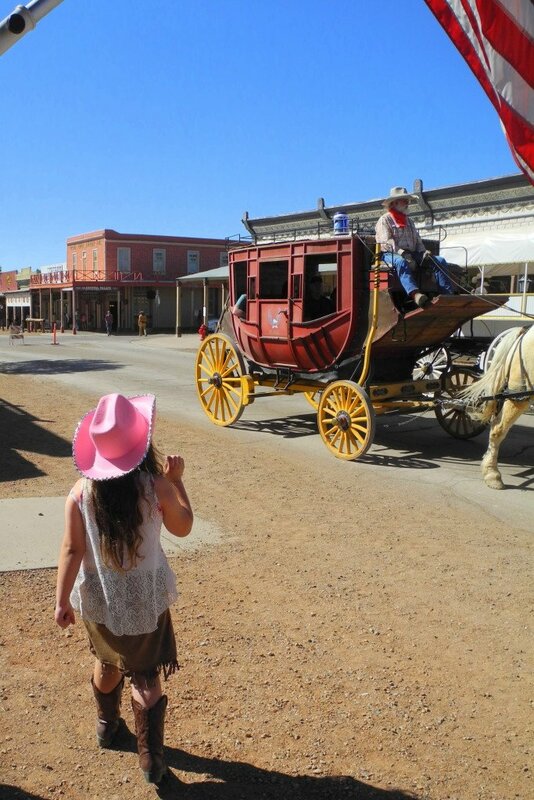 A recreation of an 1880’s main street, the ranch includes guest rooms, a saloon and onsite activities like archery, roping and horseback riding. 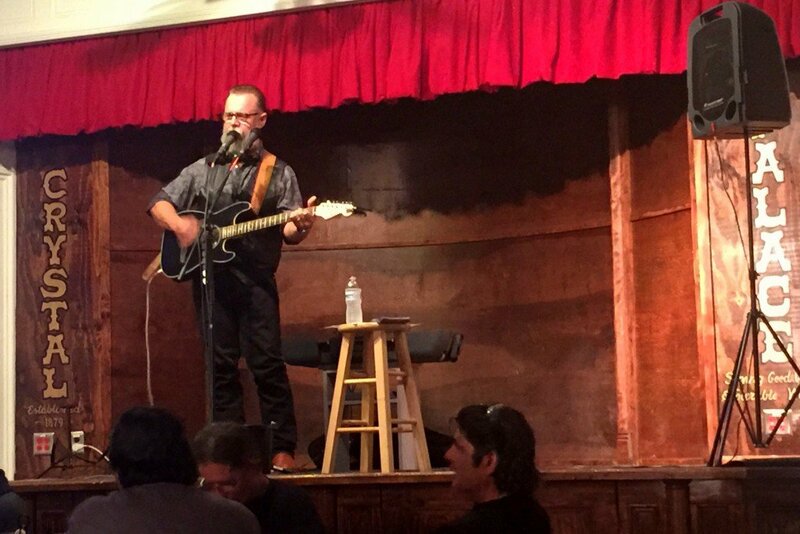 I like the idea of their evening entertainment like 5 card draw with Wyatt Earp, Texas Holdem with Arizona Bill, live music and more. 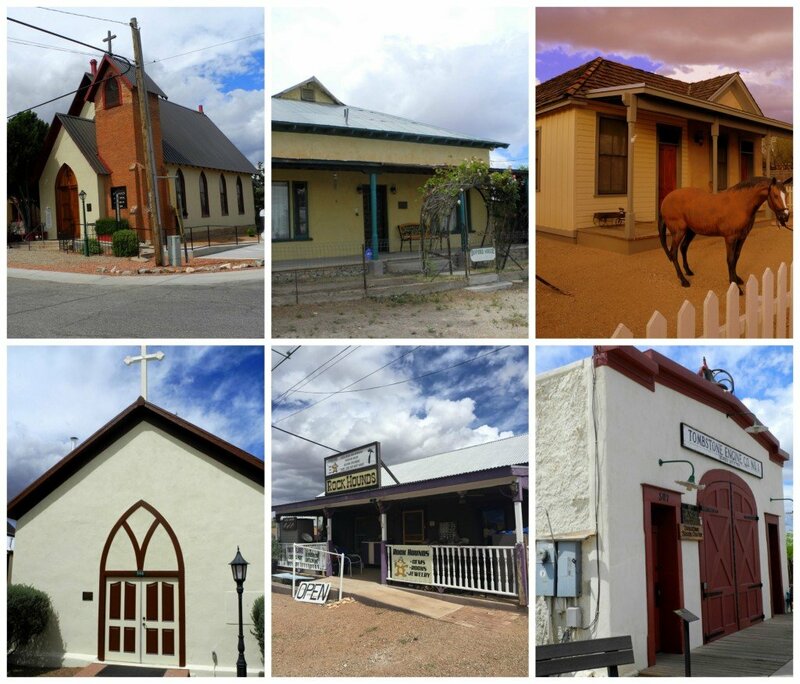 It has the highest rates in the area, but is like mini-Tombstone within Tombstone. Starting at $99 per night, these cute little cottage have two rooms and great views of the Dragoon Mountains. 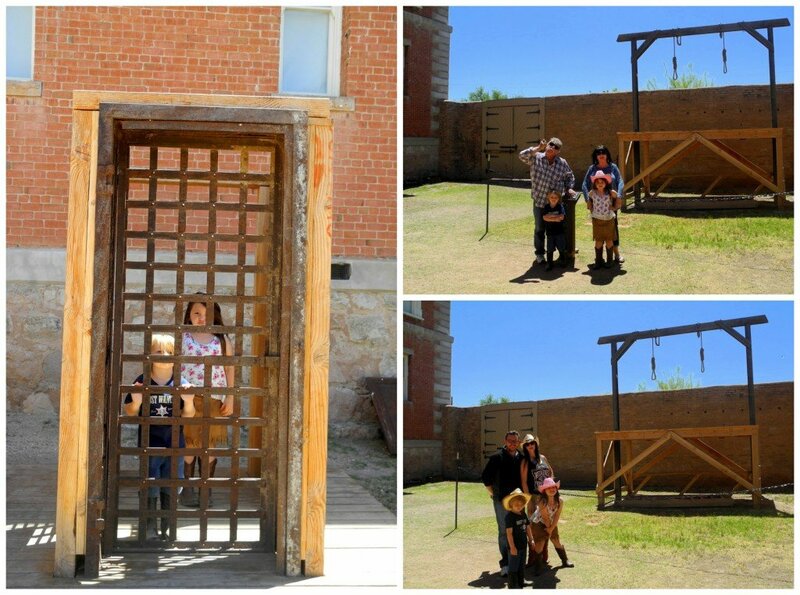 This is where my sister stayed when she visited Tombstone with kids. The rates run $30-$35 a day. She picked this resort, because they had large lots, more amenities and great views. There is also an area to drive your razor around. In 1880 this was the original Grand Hotel. If you’ve watched the movie Tombstone, you might remember the scene when Wyatt arrives in town and stands in front of the Grand Hotel. Well, this was it. 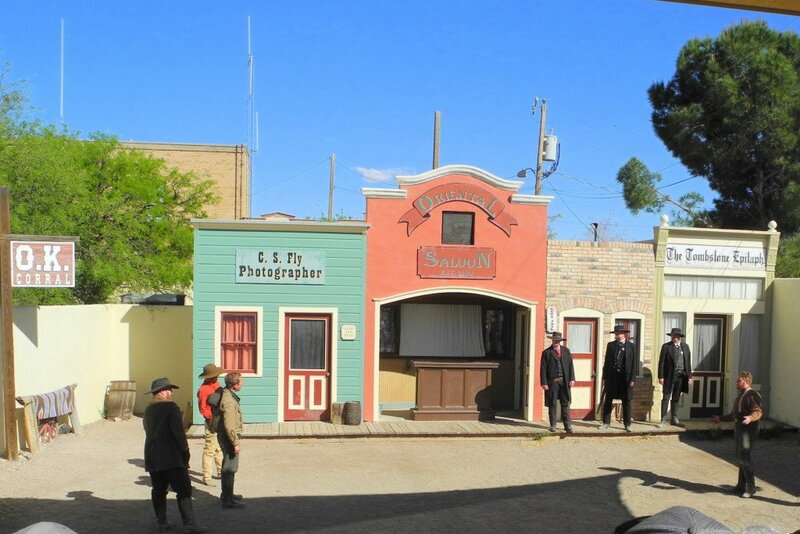 All the major players in Tombstone were once registered guests of the Grand Hotel including the Earp brothers, the Clanton gang, and the McLaury brothers. After the fire in 1882, much of the original building had to be rebuilt. Now, you can enjoy a cold beer, whiskey and grub where the lobby used to be. The basement, which used to be the bar, is now a gift shop with the original tunnel to the mine shaft still intact! This was one of my favorite spots, because the atmosphere is so lively and the live music rocks! 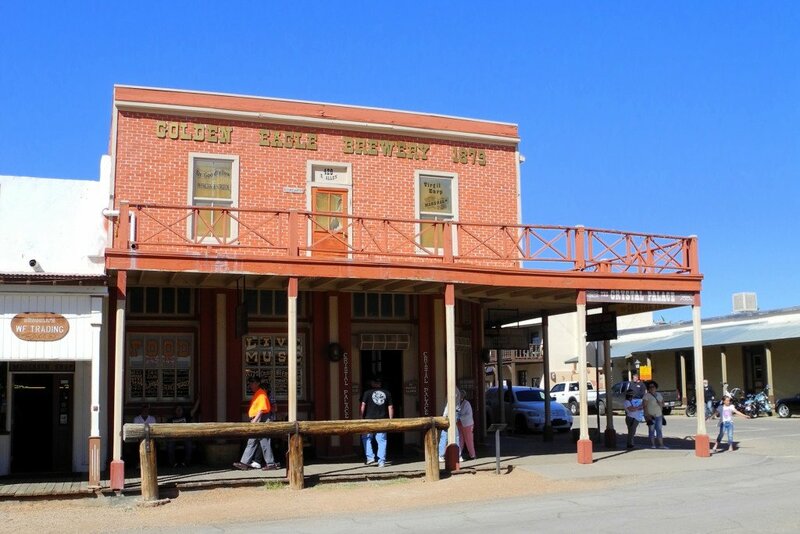 This was originally the Golden Eagle Brewing Company and one of Tombstone’s first saloons. Then the second story was added to house offices for attorneys and even Virgil Earp, the U.S. Deputy. After the 1882 fire, the building was rebuilt and renamed. It became the Crystal Palace Saloon, a fine dining restaurant with oysters, good wine, liquors, cigars, gambling and live music. Well today, it isn’t a fine dining experience, but it sure is fun and still has a full bar and live music! 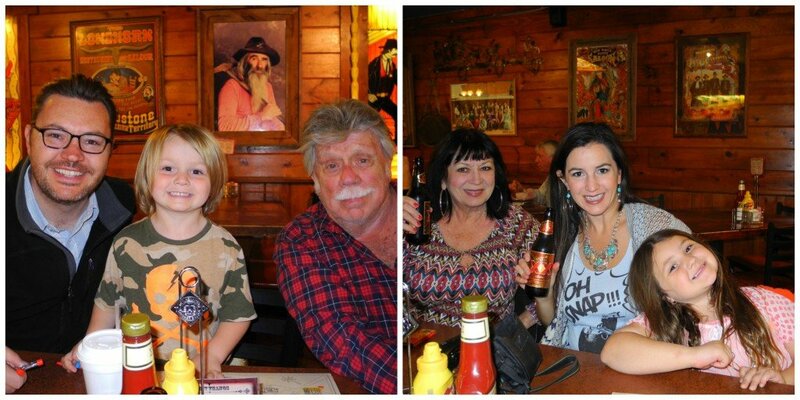 Great for family dining, the Longhorn was once the Bucket of Blood Saloon. 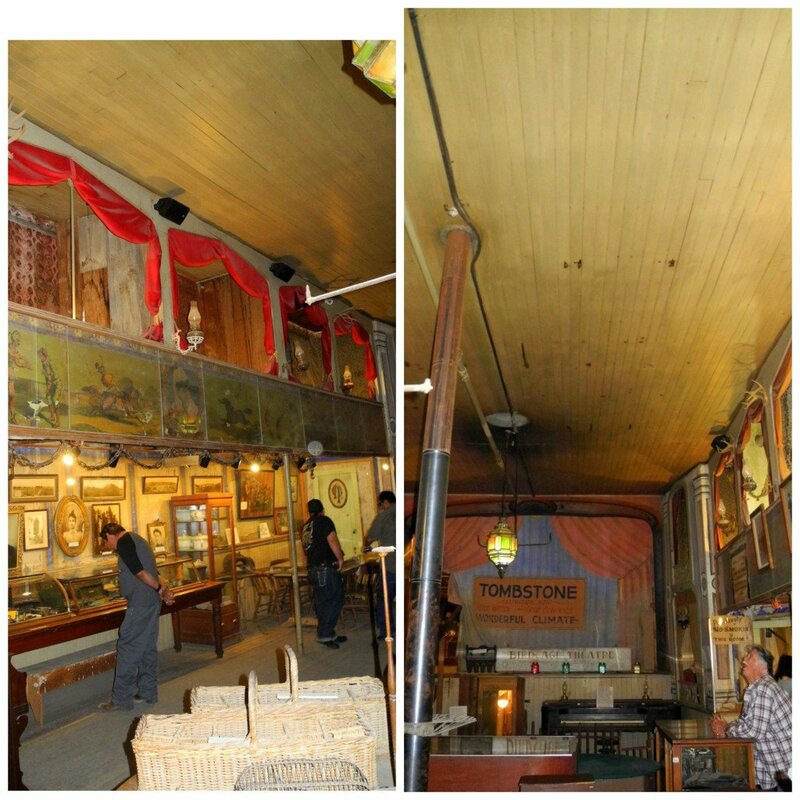 It was from the second floor of this saloon that Virgil Earp was shot. I really enjoyed the burgers here. Nice and juicy. I thought the kids’ menu was cute. My kids loved coloring their own map of Tombstone. I even took one home as a souvenir. I didn’t get to here, but I liked the location. It is off Toughnut in this section with lots of activities that I will talk about in more detail in the Entertain Me section of this post. A local told me that it was really good and the prices on the menu were really reasonable. Casual dining spot good for breakfast or lunch. It closes at 2:00pm, so no dinner service. Love me some yummy Mexican food, but this restaurant also has a wide selection of Italian dishes too. Interesting, I know. We were lucky to get a table in here before it got too busy. My kids love a good burrito and I chowed down on the taco plate. The atmosphere is really nice and of course, it is historic and haunted! It was once Nellie Cashman’s Restaurant. Nellie was very well respected and it is said that the ghost do not tolerated rude customers. I saw a man mysteriously get sprayed with ketchup while I was there and then later I heard that is one of the ways that the ghosts punish naughty diners. As a bartender myself, I love this and wish I had a few ghosts to have my back during my shifts! 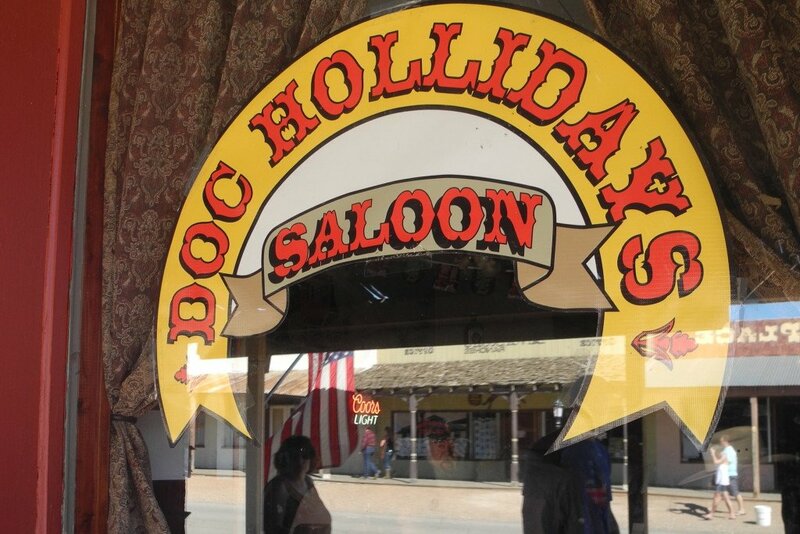 It was also said that Doc Holliday pulled a gun on a rude customer that insulted Nellie’s food. Maybe it is he that still protects the staff. Warning: If you dine here, BE NICE! I didn’t dine here, but the reviews are overall decent. It appears to be good family restaurant and known for the pizza and steak. 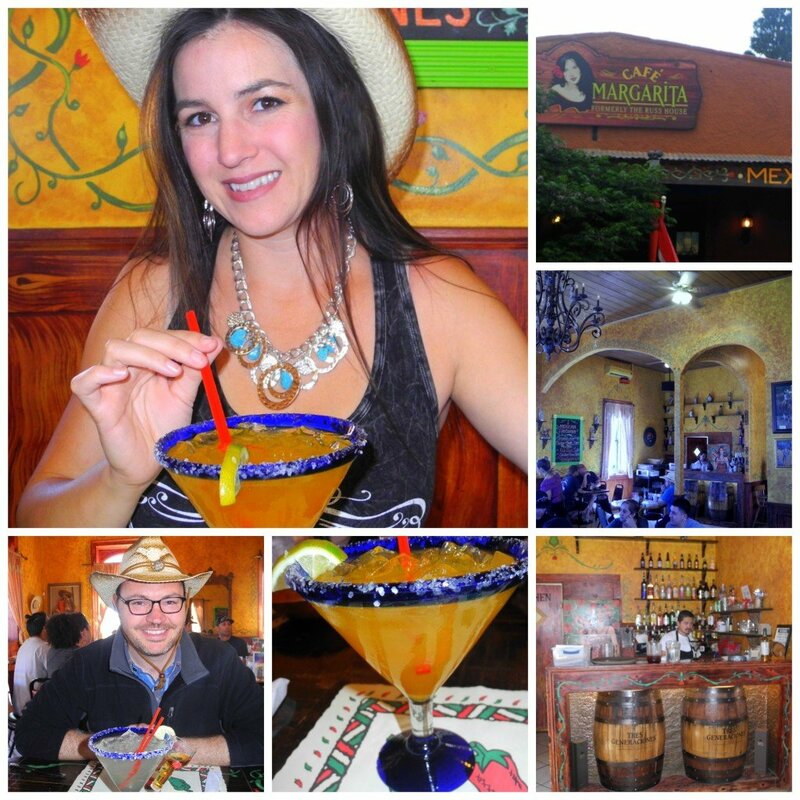 This restaurant is located on Third and Allen Street, right across from the O.K Corral. This was the former home of Addie Borland, a professional seamstress, who was home at the time of the famous gunfight. Unfortunately due to poor eyesight and weather conditions, Addie was unable to provide a useful eyewitness account of the day’s events. Now you can eat here and imagine what it must have been like on that infamous day in 1881. Whiskey, Texas Hold’Em and Karaoke. Good times. 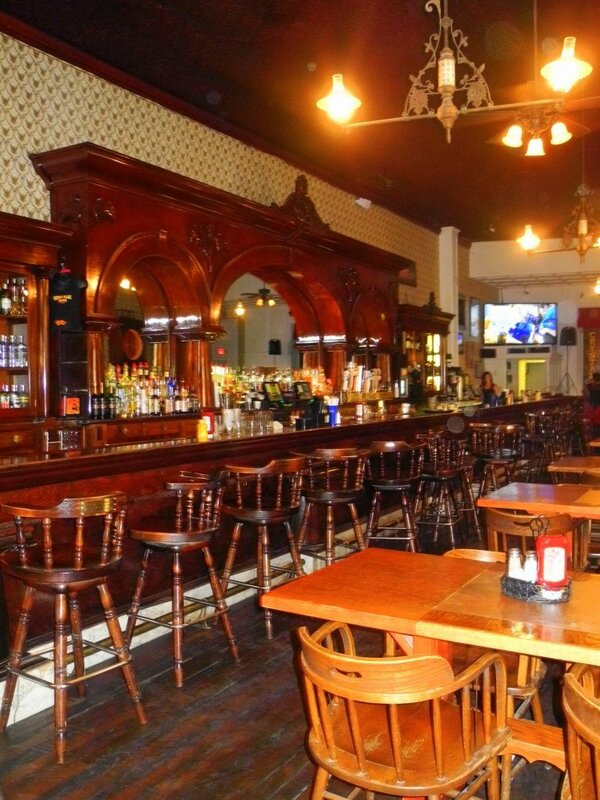 This bar was once the morgue in the 1880’s and now is very popular among the locals alive and beyond. Make sure to have a shot of Doc’s favorite whiskey, Overholt, while you are there and drink it neat! This place is really fun, but it does get packed at certain parts of the day. I love the big beers and yes, they serve Overholt Rye here too. Kids can be in there until 8:30 (we pushed it to 9:00 and no one kicked us out) and live music goes all day, so it is great for adult traveling with kids. We had such a good time, we actually went back twice. 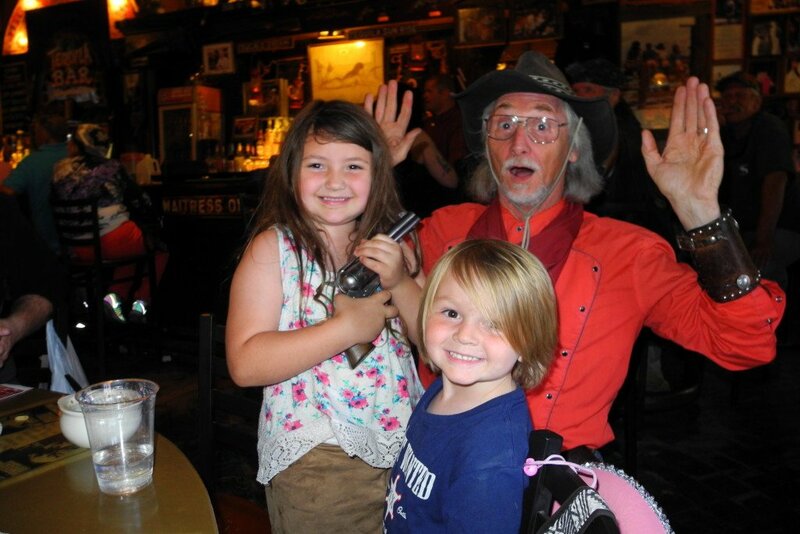 We had a drink and listened to the music and the musician took a photo with my kids. Later we snuck in there around 8:00 for one more drink. We had a great time. My mom and I even ended up dancing with our ghost tour guide! Kids can be in here until 8:00pm and music starts at 7:00pm, we got our seat in front of the stage at 6:00pm to enjoy some live entertainment, beers and whiskey. The décor has stayed true to the original style and there are vintage photos of the Crystal Palace back in the 1880’s, so you feel like you are back in time. The servers’ uniforms are adorable saloon girl outfits to add to the fun. 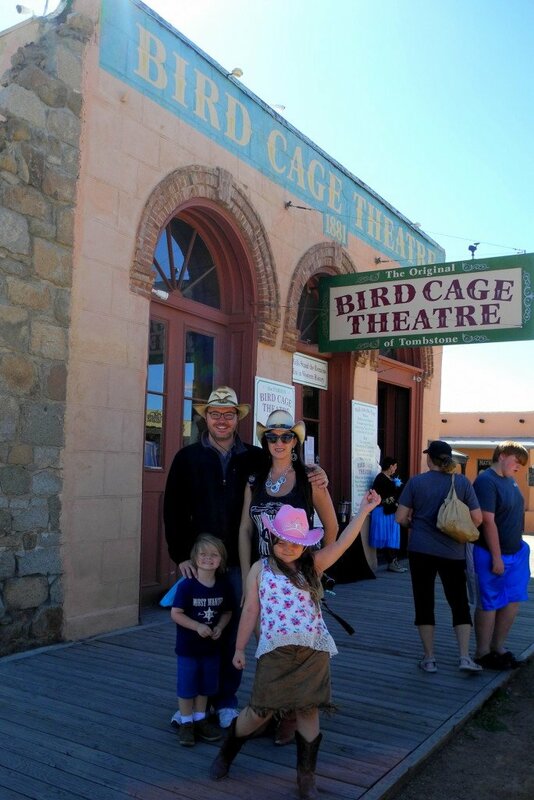 Located in Old Tombstone Western Town, this was a great spot if you are traveling with kids. The beers are only $2!! Craft, cold draft beers for $2!! While parents are enjoying this refreshing treat, kids will have a blast with the many activities in this area, which I’ll explain below. Where do I start? 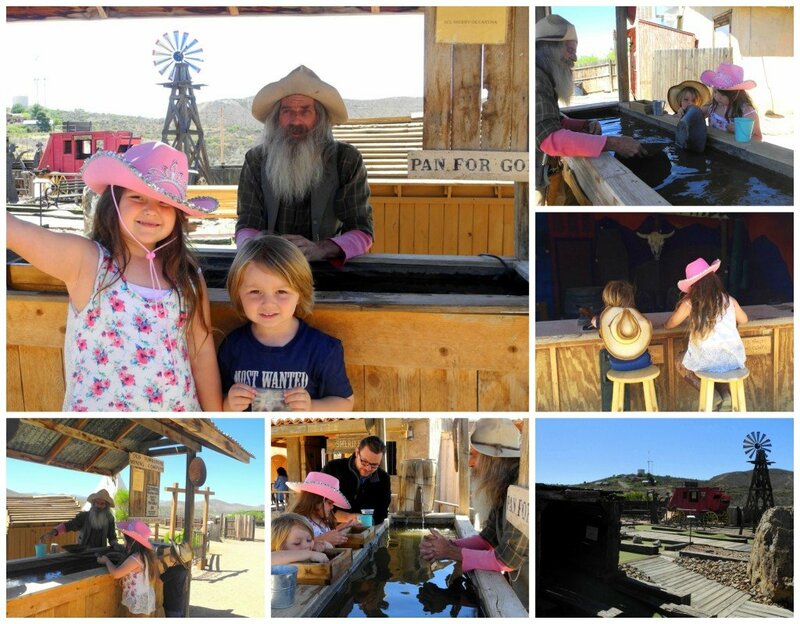 For a small town, there are so many fun things to do in Tombstone with kids. There is definitely a lot to see. 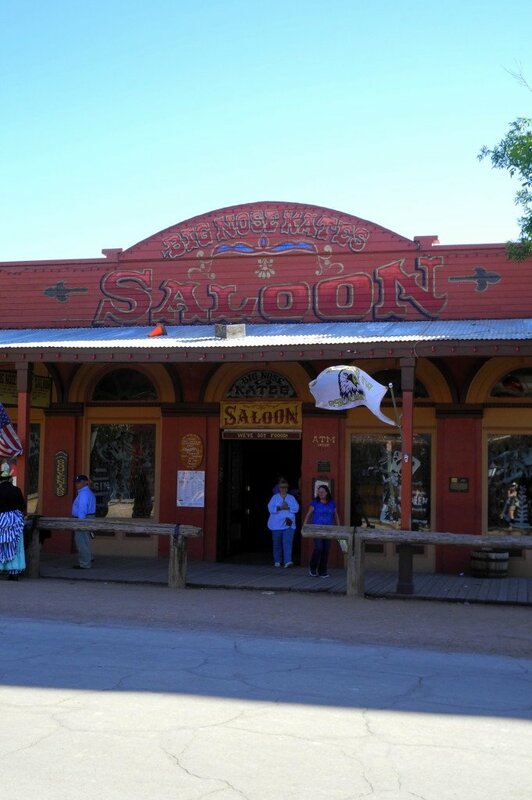 Before you go, purchase tickets online for attractions, because you can find good deals there and your tickets get you discounts to most of the restaurants in Tombstone as well. First thing you should do, especially if you have never been, is to take a historical tour. This will allow you get a lay of the land and determine the sites you want to invest more time and money on. For a history buff like me, Tombstone is very overwhelming. Well, everything is historical and everything has a story. I wanted to see it all and touch it all. 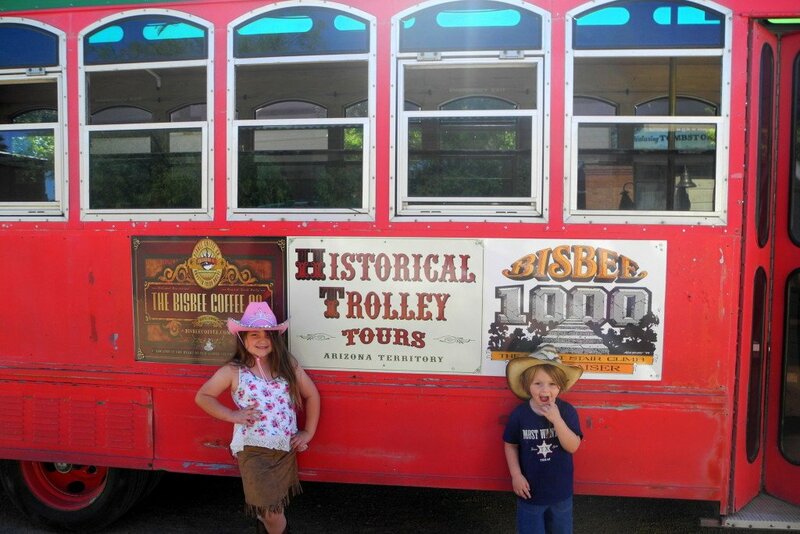 We decided on the Tombstone Trolley Tours. There are other tours like the Tombstone Walking Tours and Old Tombstone Historical Tours, but the trolley worked the best for our group. 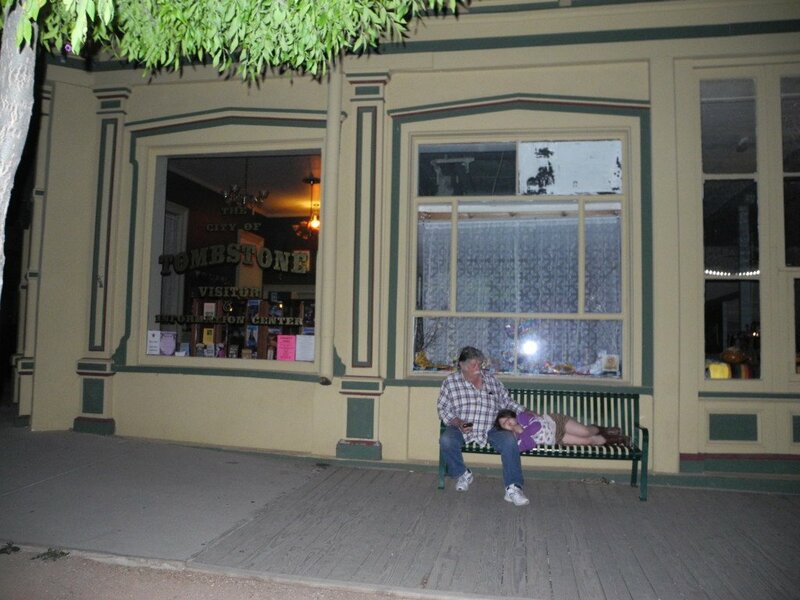 The reason I picked the Tombstone Trolley Tours was that we could sit down and comfortably see all the important spots in town. It was large enough to fit all of us, I didn’t have to haul kids and grandparents all over town and it was a good price. Plus, you could get a deal on a gunfight show with your ticket. 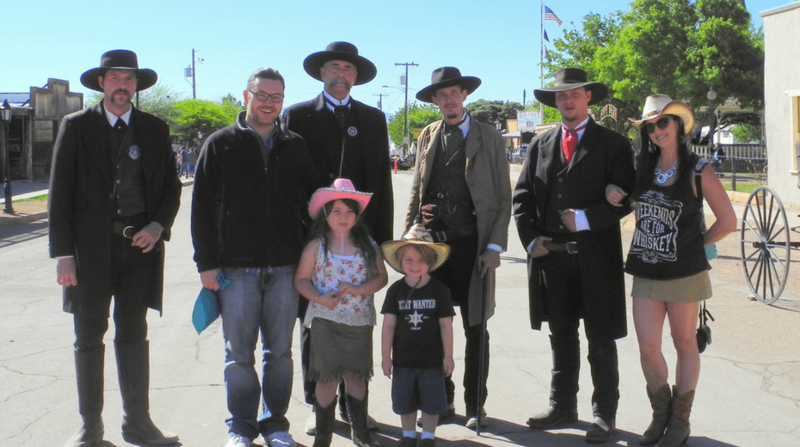 I learned so much from the tour and then afterwards could make better decisions how to spend the rest of my time in Tombstone with kids. Tombstone was a very violent city in its day, so it is no surprise that there are many restless spirits floating around the street still. Tombstone offers a few different ghost tours and I definitely recommend taking one at least once. Most allow kids, although there are a couple that are 18 and over. 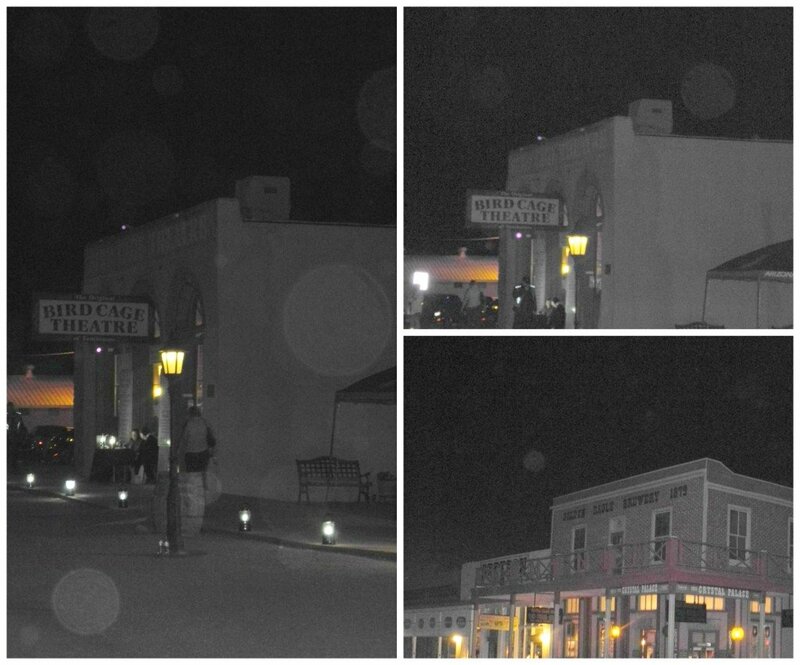 My sister took the Ghost and Murder tour, which was a trolley tour to the 13 most haunted places in Tombstone. My nephews really liked that one. I would recommend this one if you are traveling with kids and seniors, because there is no walking involved. 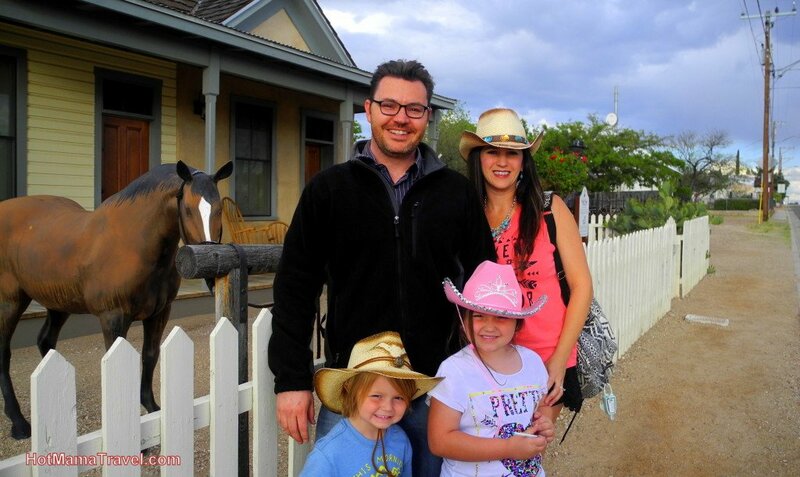 We took the Gunfighter & Ghost Tour, which was a walking tour. The reason I choose to walk was because I really wanted good photos of these places at night. I figured my family could handle it since it only walked down Allen Street for an hour. Downside: it was hard for Papa to walk and the kids got tired and we had to hold them…ugh! 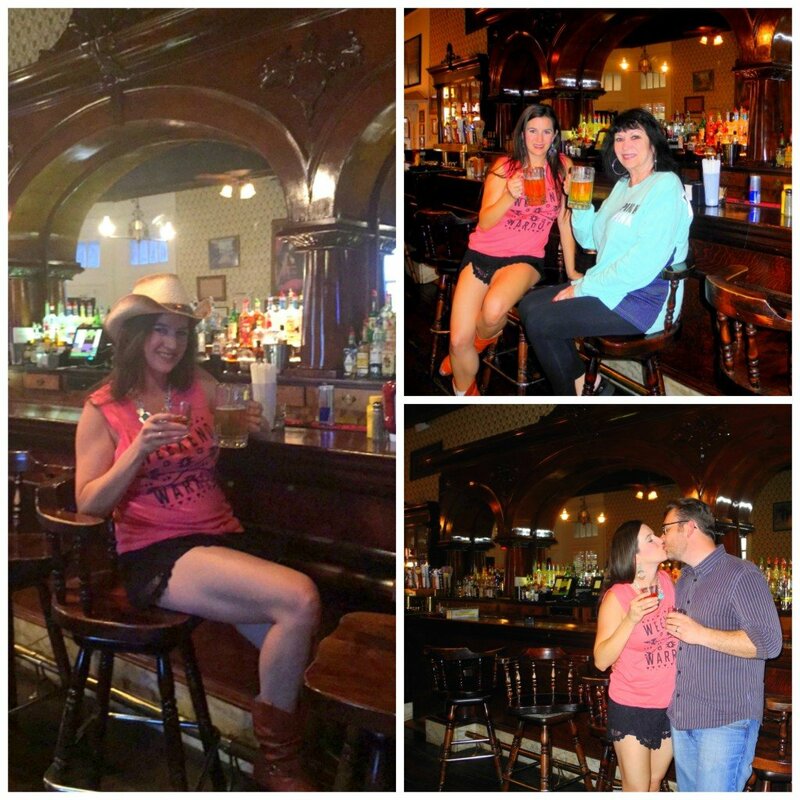 Upside: I got some amazing photos and made friends with the tour guide and ended up dancing with her at Big Nose Kate’s afterwards. You can’t go to Tombstone and not see the O.K Corral. This what made Tombstone famous! Ladies, this is for you! You can take a photo with Wyatt, Virgil, Doc and Morgan! Boy, are they some tall glasses of water and the thirst is real. Haha! 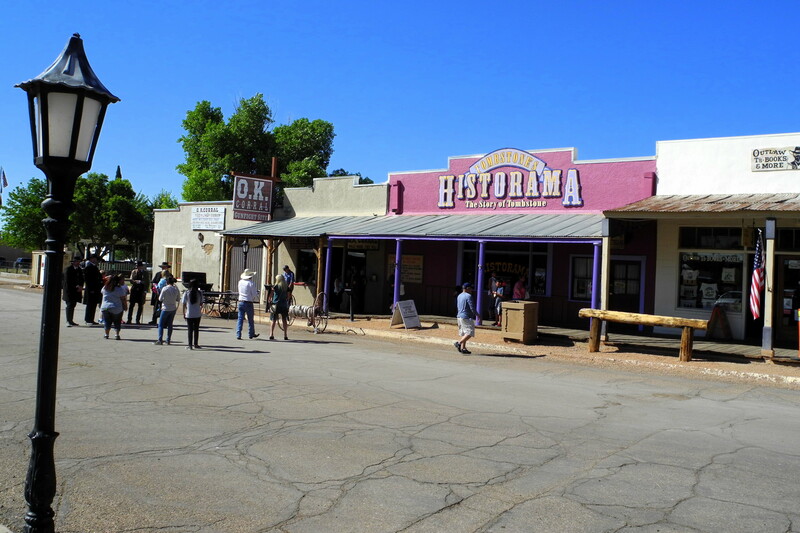 With your ticket you get to see a reenactment of the gunfight at the O.K Corral, admission to the Historama museum and a free copy of the Epitaph newspaper from 1881, reporting the events on October, 26. 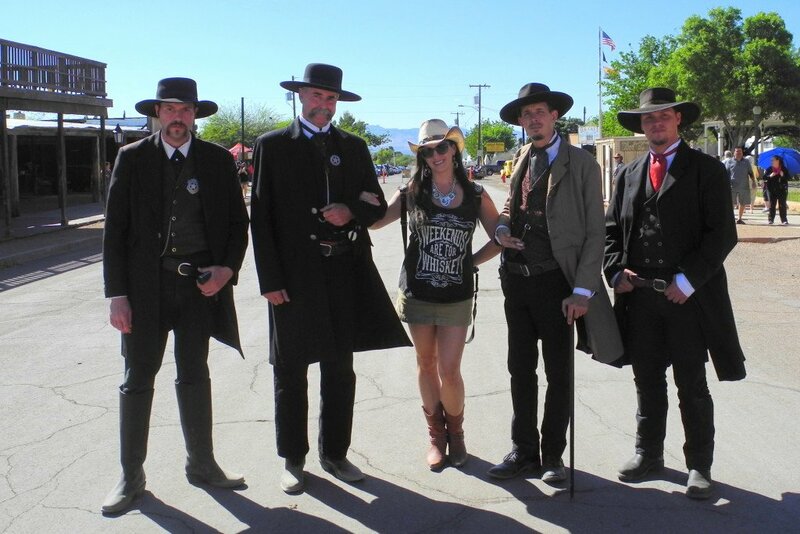 I’m having a great time in Tombstone! This is probably the most famous landmark in Tombstone, besides the O.K Corral. At least 26 people were murdered in this theater during it rough days. There are over 100 bullet holes visible in the building! 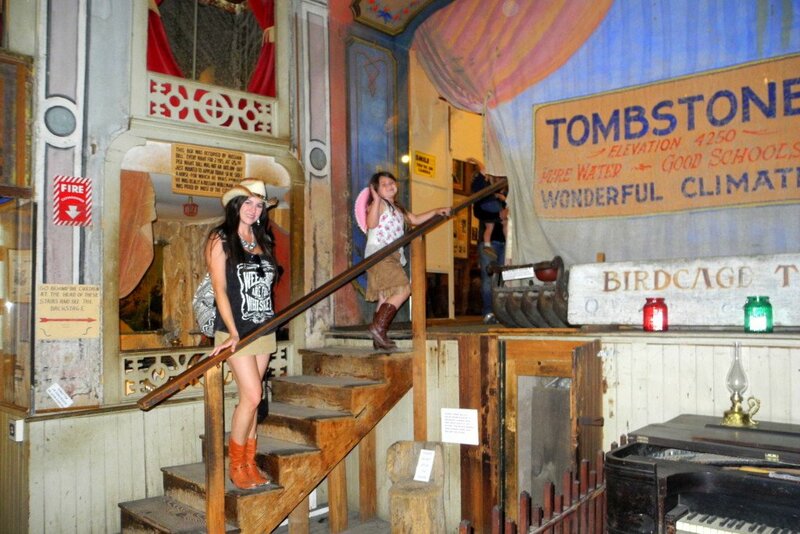 This was the entertainment venue for the wildest citizens of Tombstone. Ladies of the night worked their business in the various cribs suspended above the theater floor as well as a few cribs in the basement. Apparently it is still very active…with paranormal activity that is. I have so many orbs in my photos, I lost count and I have a crazy story. I took my son down to the basement to take some photos of the cribs. Well, my son tried to open one of the doors to the crib by jingling the door knob. I stopped him and told him he wasn’t allowed to do that, but when he stepped away from the door the knob continued to jingle!!!! CREEPY!! Love it! That will teach him to listen to mama. Kids are not allowed in the after dark ghost tour in the Bird Cage Theatre…too intense. I’ll bet. I’m doing this one next time I’m in town. Free admission! If you have visited my blog before or know me, you know I love me an old cemetery. 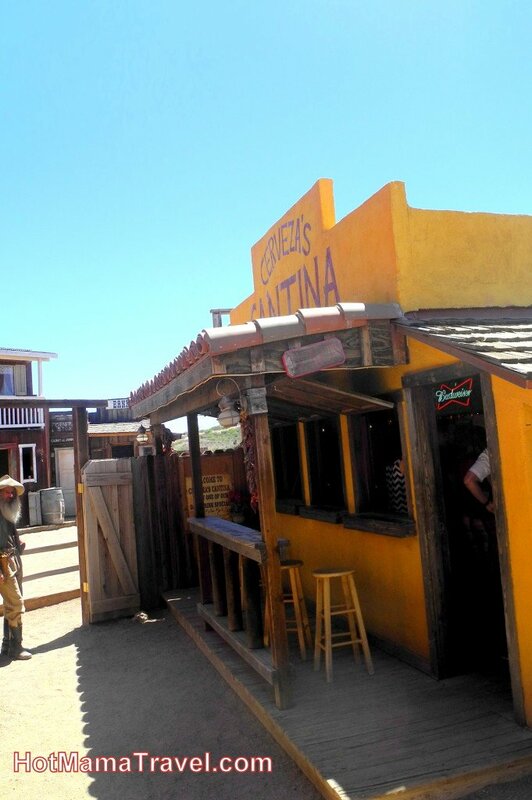 I couldn’t wait to get to Boothill!!! Luckily, my daughter is like me and we spent a long time reading each marker. The highlights, of course, are the graves of the three cowboys killed in the O.K Corral, Billy Clanton and the McLaury brothers. 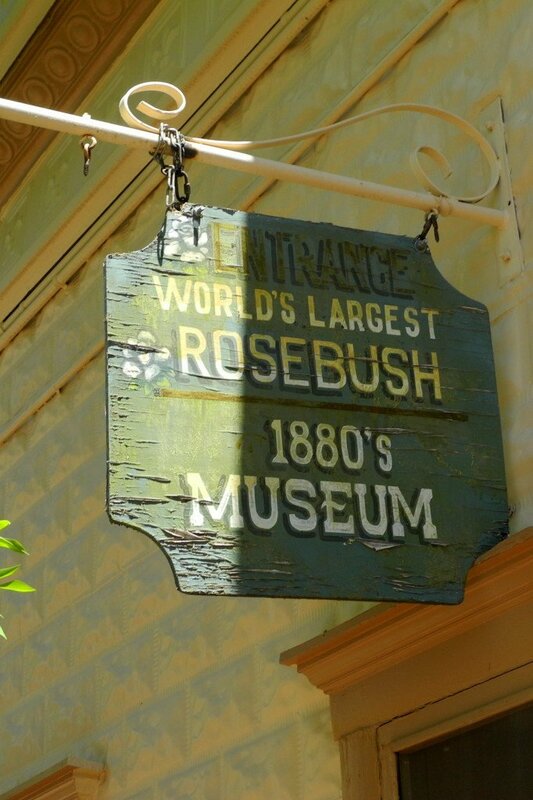 To tell you the truth, I wasn’t originally interested in seeing the Rose Tree, but then I got to Tombstone. I happened to visit during the Rose Tree Festival and gained a lot of appreciation for this rose tree. I decided to check it out and I am sure glad I did. It was planted by a homesick Scottish girl in the 1880’s. She missed Scotland, so her family sent her a sprig of their rose tree. 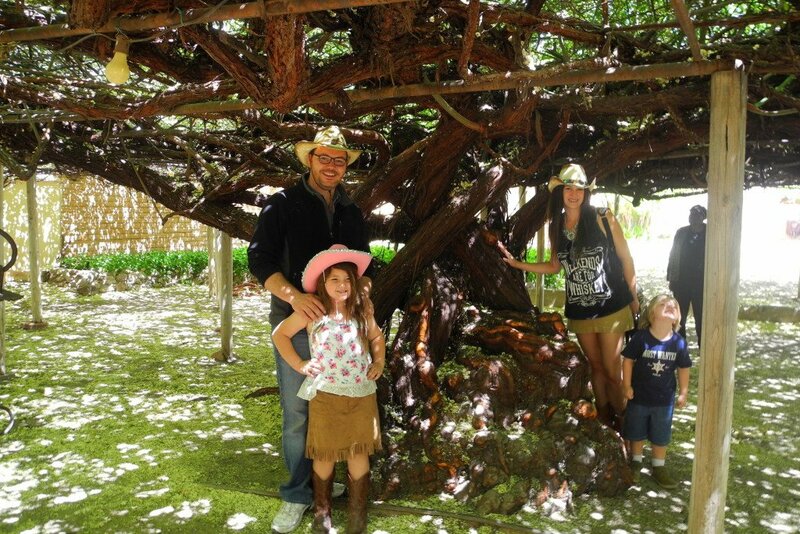 Well, everyone has since died, but the tree continues to grow and is now the largest rose tree in the world! I visited in spring when it was in full bloom and it smelled so lovely! I even brought home a bag of the rose flowers. I really liked this little section. 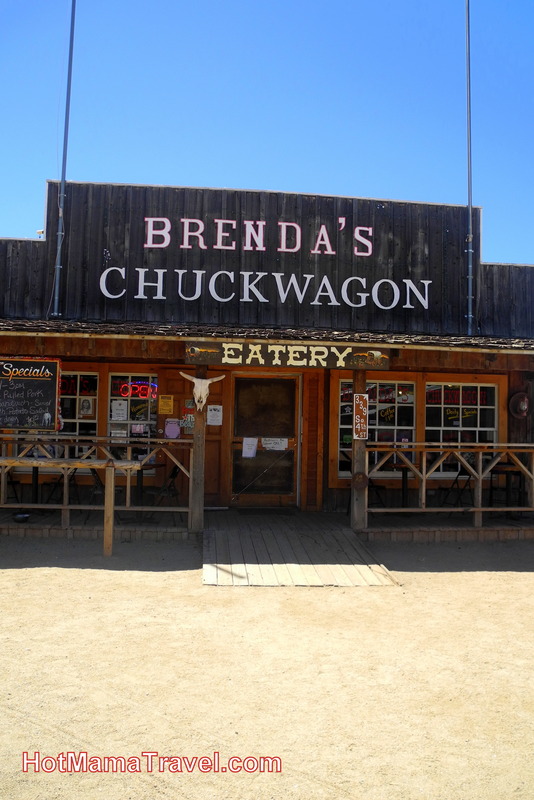 This is where the Chuckwagon is located as well as a number of other activities. This was a great area for families, because kids could play at the “shooting range,” the mini-golf course or pan for gold. Adults can sip on $2 draft beer at the cantina. It is not crappy beer either. They have a nice selection of draft beer. We had a blast letting the kids explore while we sipped on the good stuff. Also in this area is a comedy gunfight show, which is discounted if you did the trolley tour. You have to see the courthouse. 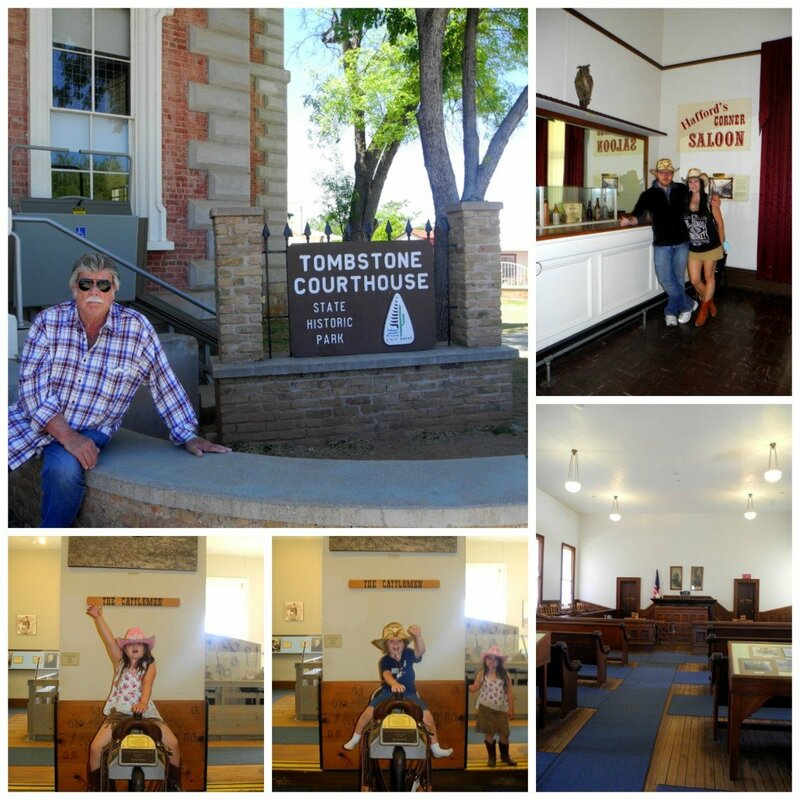 Built in 1882 this building takes you through the history of Tombstone. It housed the offices of the sheriff, recorder, treasurer, and board of supervisors, the courtroom and the jail. Outside is really interesting, because that is where the gallows stand. Free admission! 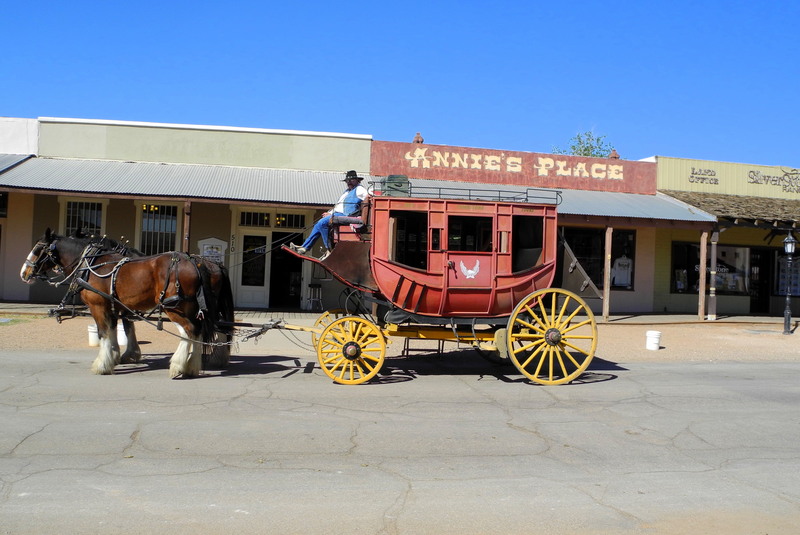 See the O.K Corral and get a free copy of the newspaper from 1881. As a writer, the Epitaph was a must stop. This was the one thing my daughter insisted on. I wasn’t sure if I wanted to or not, but she made us do it. Good thing she did, because we really enjoyed it. 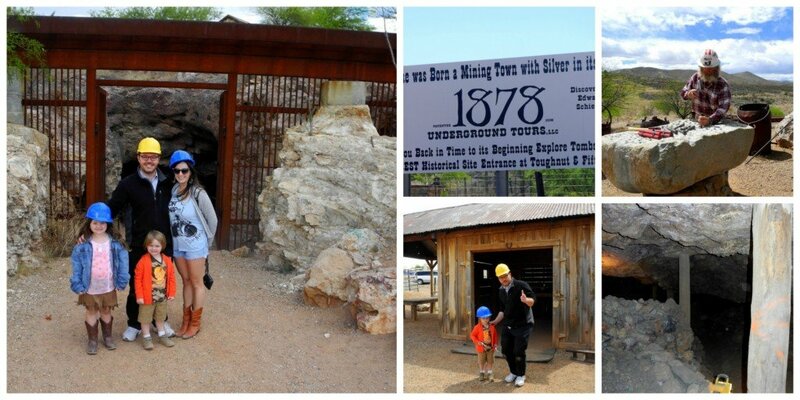 We learned a lot about the true history of Tombstone and got to underground in real mines. 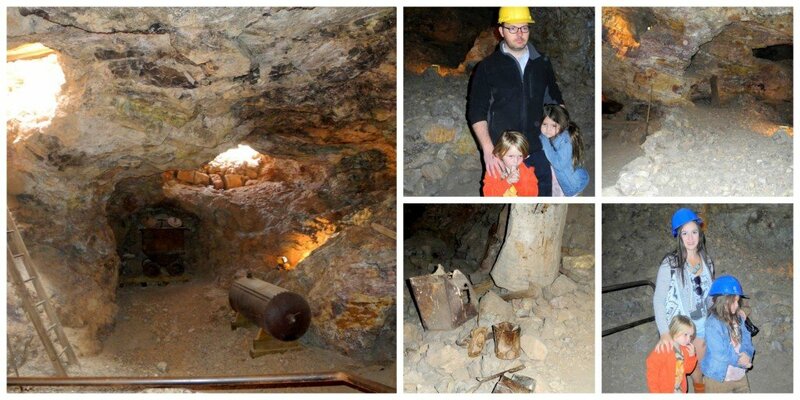 Seeing the wooded support pillars from the 1880’s still in place was amazing as well the many artifacts left behind. My daughter was really engaged and asked a lot of questions. Afterwards she said, “Well is anyone going to thank me? This was my idea.” Oh man. Our awesome guide into the mines! I have always loved the story of Tombstone and I knew I was going to enjoy it. However, I did not anticipate LOVING it! I can’t wait to go back. Upon hearing this, a friend said, “Isn’t Tombstone one of those places you just see once? Like check it off the list?” I was shocked and gasping for air. No, absolutely not. 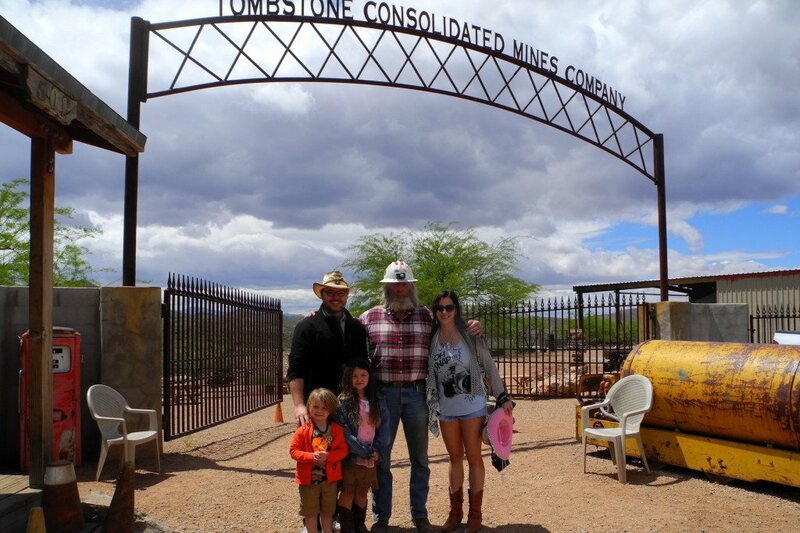 Tombstone is one of those places you just want to immerse yourself in. I feel like I didn’t get enough time to absorb it all. I want more. Maybe this is because I am such a history lover, but I think it is more than that. 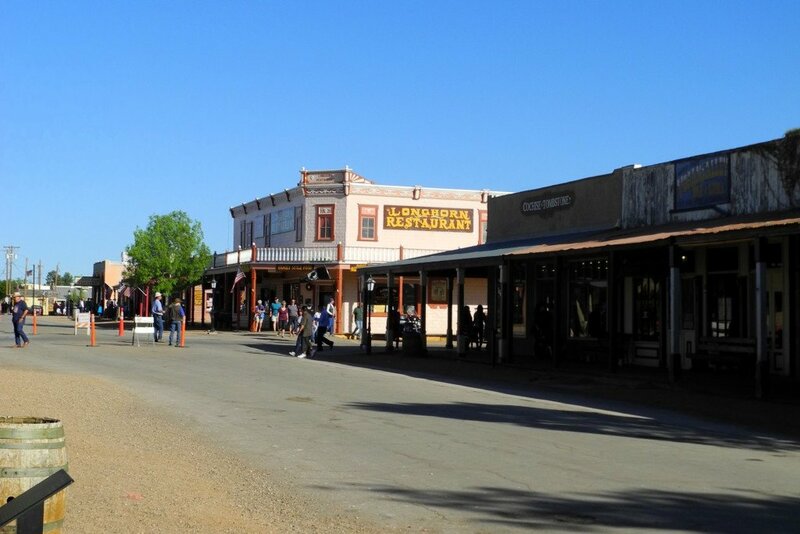 Tombstone is no ghost town. It is fun and lively. People are celebrating life and preserving history at the same time. Let me know if you are going and I’ll meet you at the bar! 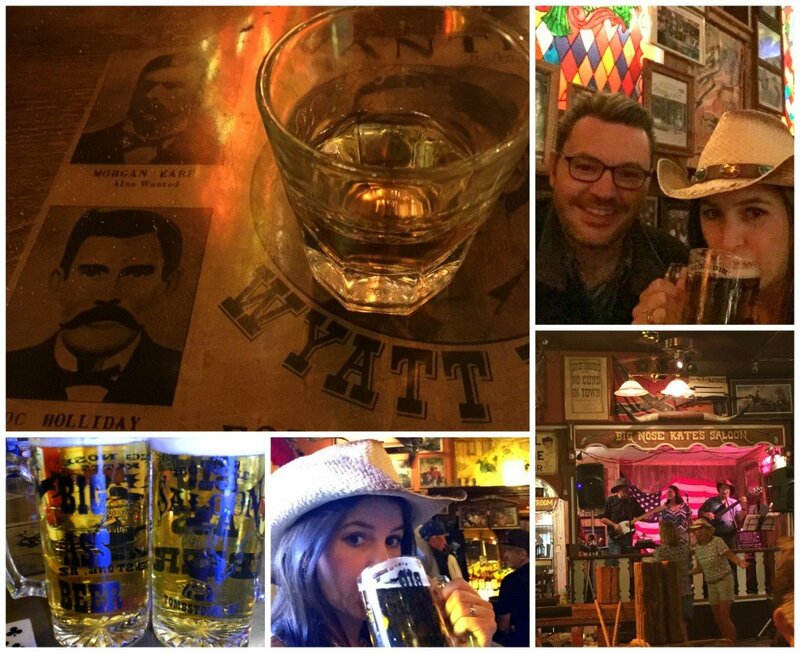 Have you ever been to Tombstone? Have you ever wanted to go? What looks like the most fun for you? Love it! 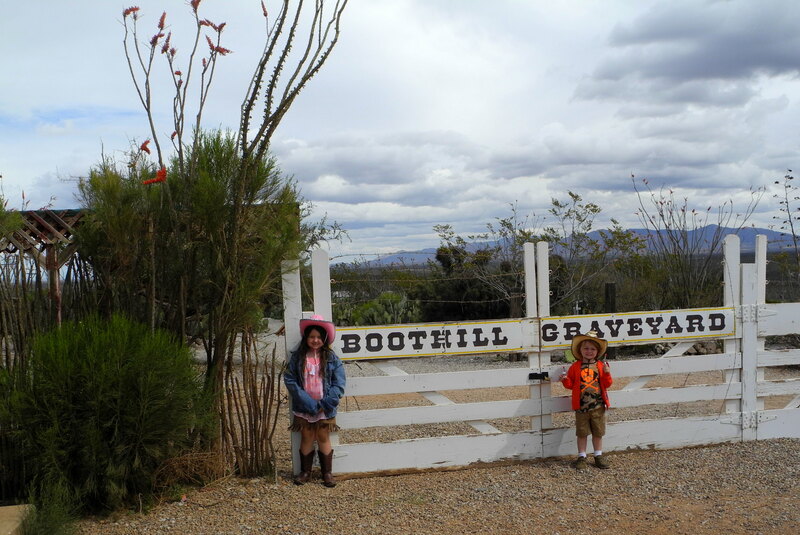 The required Photo in a Coffin…the Rose Tree…Boot Hill – Growing up in Arizona, Tombstone was one place we had to take EVERYBODY who came to visit, and it was always such fun! 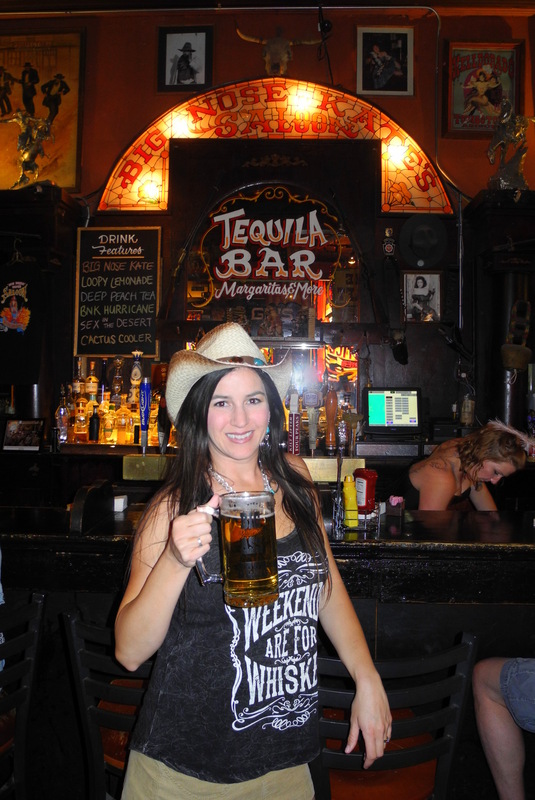 Hopefully you had time to visit Old Tucson, which is also lots of Wild West style fun. Thanks for sharing – you brought back some great memories! My kind of town – a rough and tumble place with a lot of character. 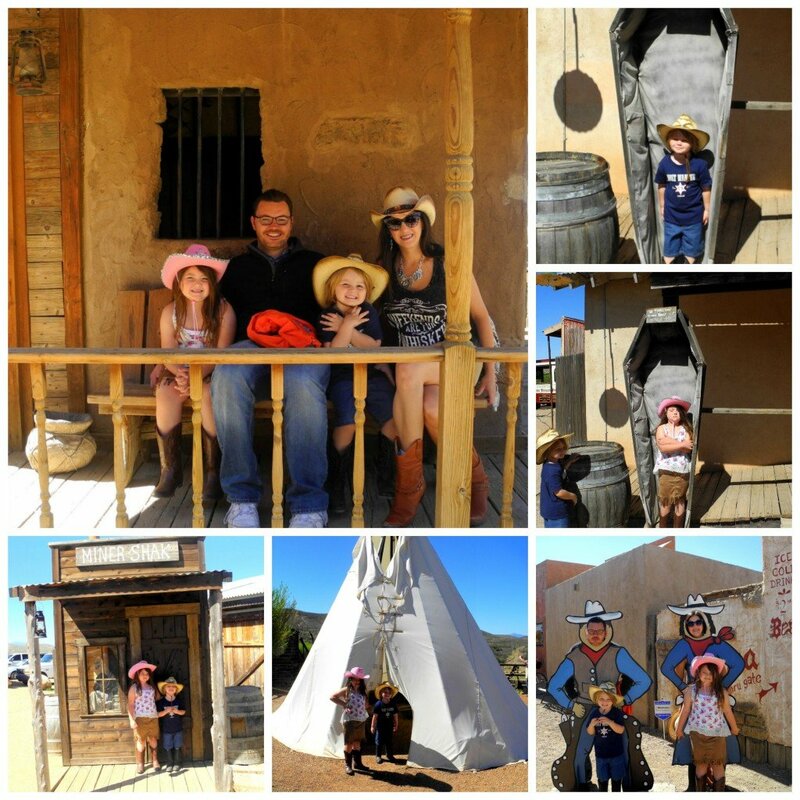 We just returned from Arizona, but we didn’t make it to Tombstone. Looks like a lot of fun. Yes, it is a great town. I had been to Az numerous times and never all the way down Tombstone, but I finally made the effort and I’m glad I did. You’ll have to make out sometime. It is so worth it. Sounds like such an interesting place – I’ve never explored this area of the states! It’s really something! You got to make a trip out! Wow!! Now that’s a comprehensive travel log!! Just wish I lived closer!! Thanks, I try to give all the info I can. Hopefully you’ll get to visit sometime! Wonderful article on Tombstone. 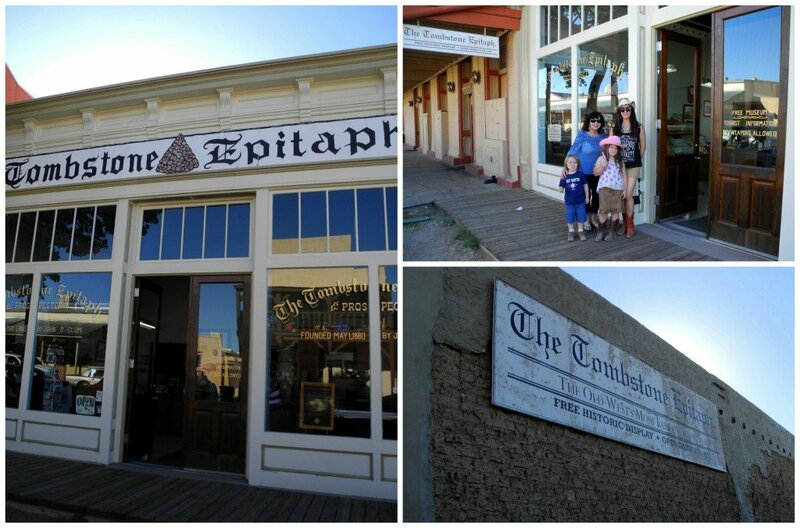 Lots of information and ideas for my future trip to Tombstone. Good! I so glad you found it helpful. I try to give all the info I can to help making planning as easy as possible. Oh man then you would LOVE it in Tombstone. It makes everyone feel a little tougher. 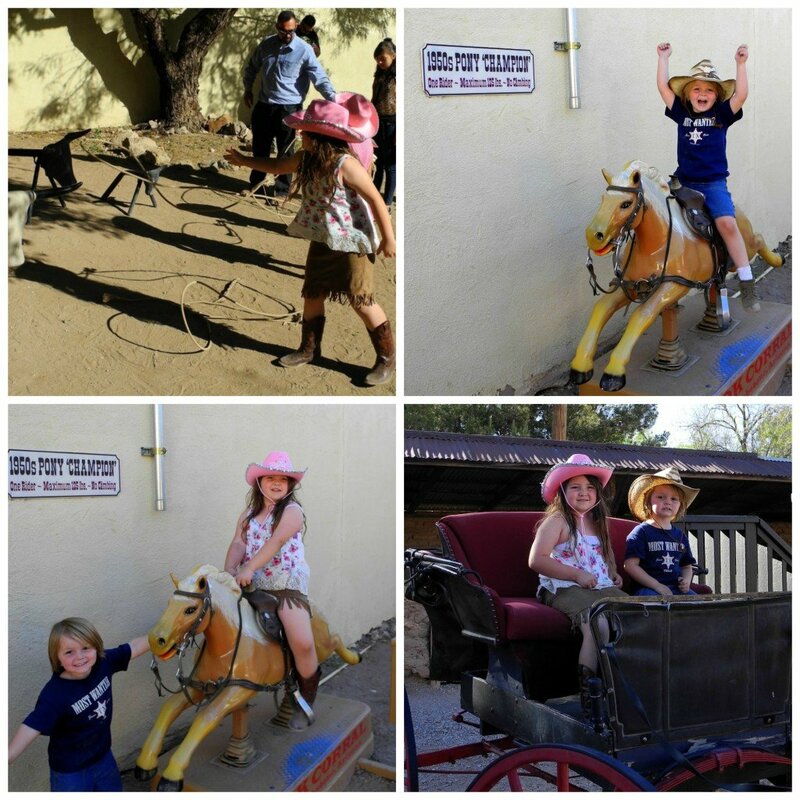 what a great way to explore the Wild West! I’d love to take a ride on that trolley tour, it looks like great fun! Do those pink hats also come in adult sizes? 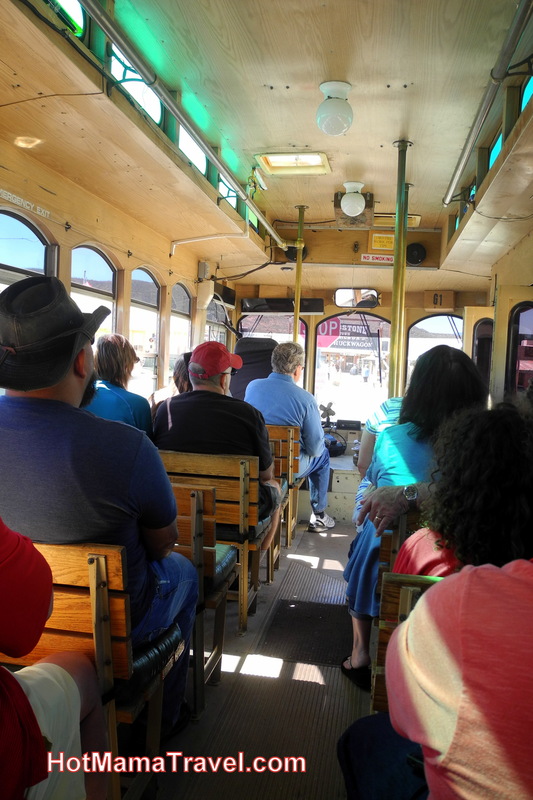 The trolley tour is great to do on the first day, that way you can see what you really want to explore. Pink hat is pretty cool right? wow what a unique town! Can’t believe such a place still exists! It is such a fun place to explore with family! Oh yeah. 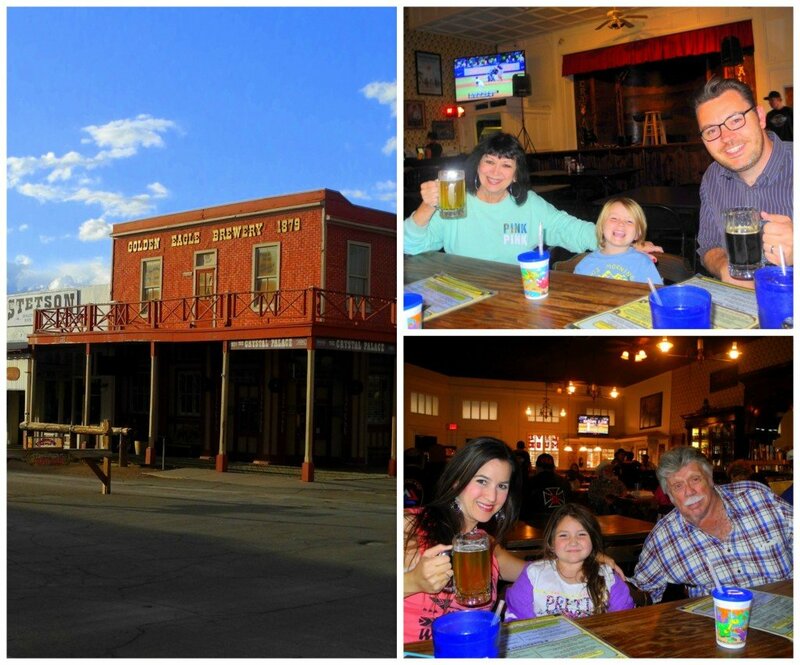 You feel like you’ve stepped back in time to the real Wild West. This looks like such a great place to visit! There is so much to do – for kids & adults too. 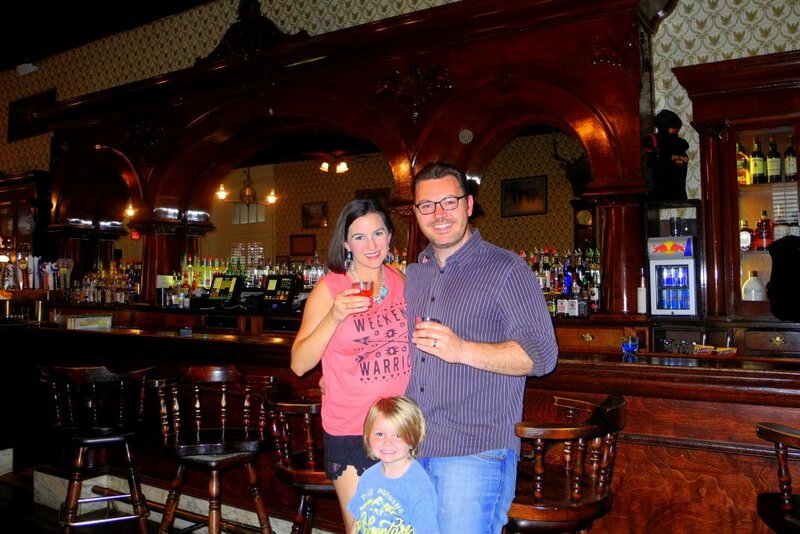 I’d love a drink in an old saloon, and who could resist sleeping in a bordello! I’d give the lying in a coffin a miss though! Tombstone is such a good time. 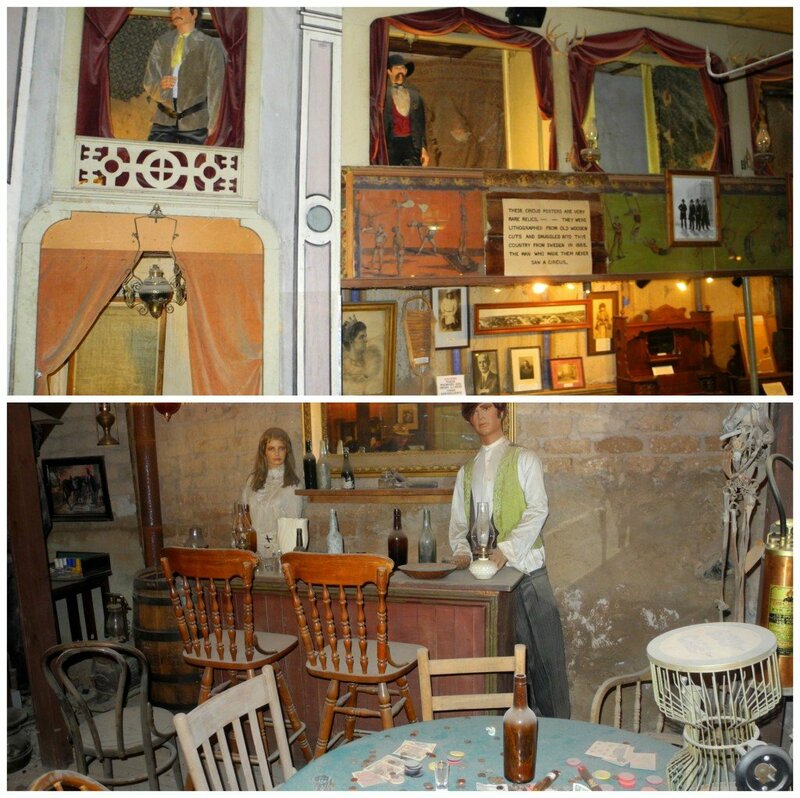 The saloons are great fun and the bordellos are so fun to explore.